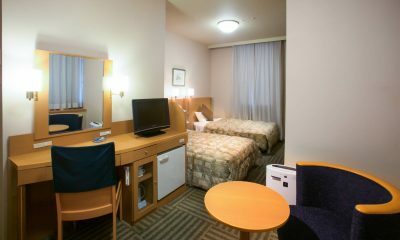 All guest rooms feature free high speed Internet connections. 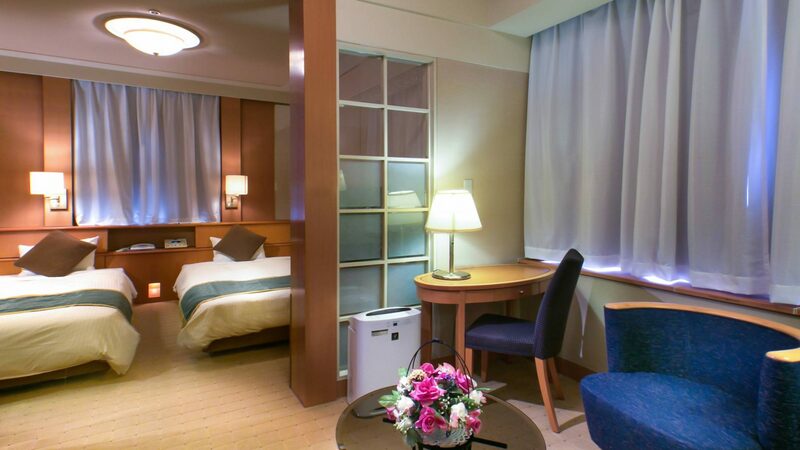 This hotel is inside a 24-story skyscraper and the guest rooms are located on floors 19 through 21. 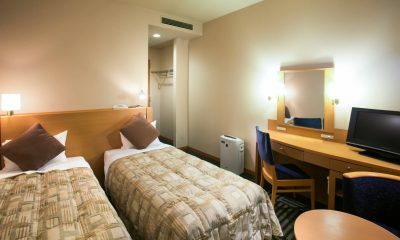 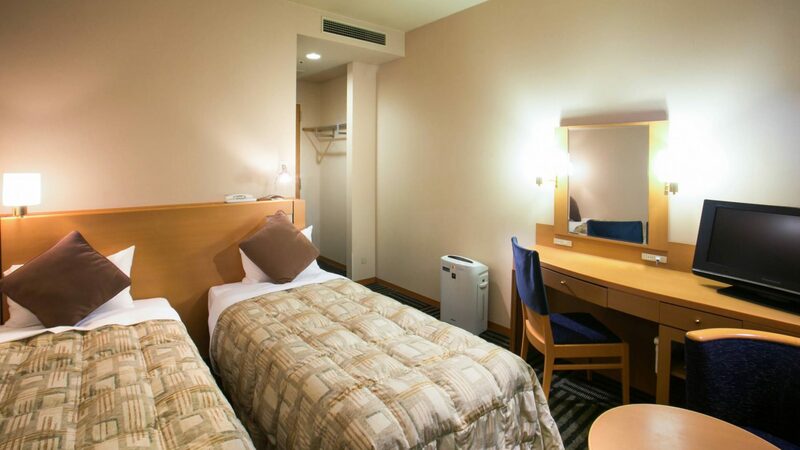 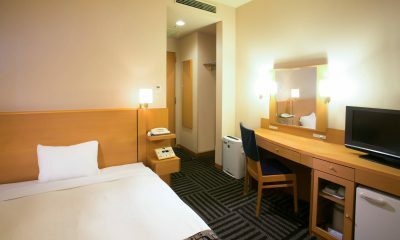 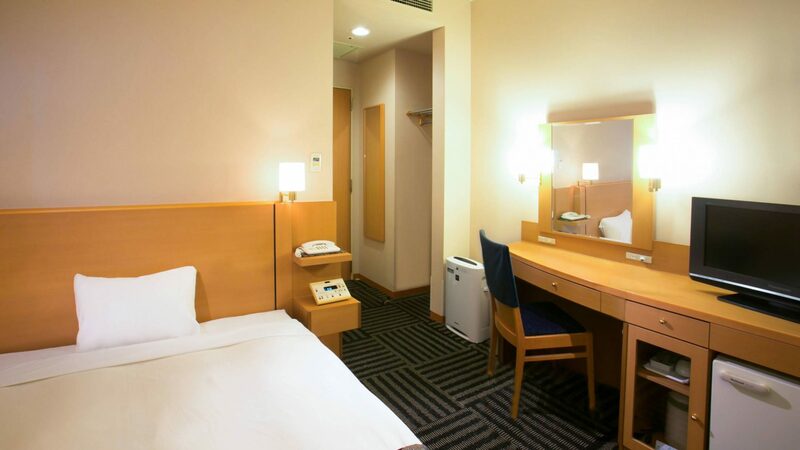 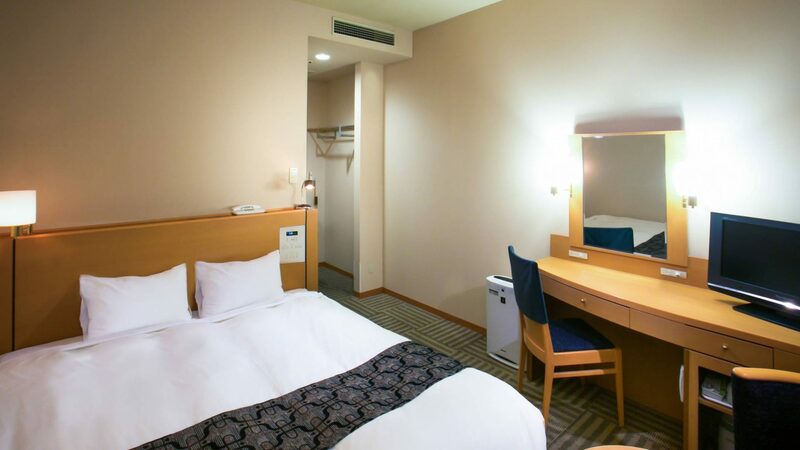 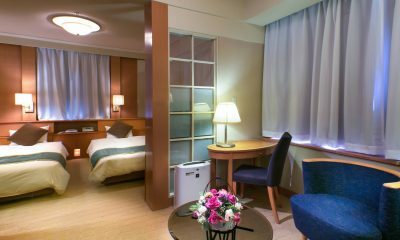 Because of this, we can offer our guests an unrivaled panoramic view of the city of Yamagata, especially at night. Shampoo, Conditioner, Body soap, Tooth brush, Shaver, Shower cap, Shoe shine paper, Laundry bag, Sanitary bag, Cotton swabs, Hair brush, Tissues, Bath towel, Face towel, Bath mat, Slippers, " Bathrobe"